I’ve come across something which frightens me. 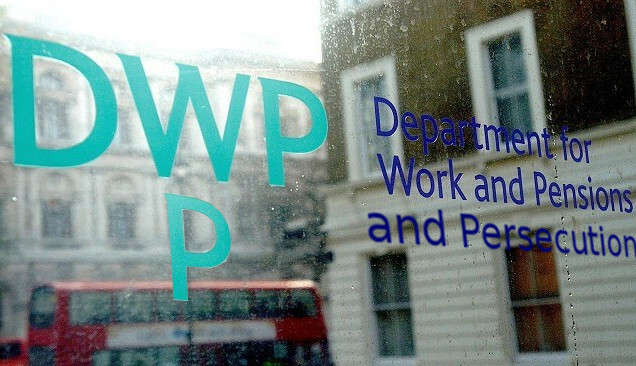 As I wrote almost a week ago, one of the DWP’s (Department of Work and Pensions) own reports told it that sanctions were not only widely damaging, unfair and ineffective, but actually impaired people’s chances of finding work – and yet the DWP increased the number of sanctions (immediate suspension of benefits) applied to jobseekers by more than 47% in most recent 12-month period for which figures are available. This increase – in the year up to October 2012 – took the total number of sanctions applied to a record 778,000. New figures were due to be published last month – but the DWP has delayed their release indefinitely. The reasons given for the delay were nebulous – but the previous rates of increase and the fact that new rules kicked in in October that could only accelerate the rate of increase make it extremely likely that the figures are so hideous that even this government is afraid to put them out there without some kind of recalculation to make them look less damning. All this is obscene enough, but what has frightened me is another report by the DWP. This one dates back to 2006 and was commissioned by the previous Labour government. But before we look at that, we need a little background. I was asked why we are introducing a three-year sanction. As I said, it will apply only in the most extreme cases, where claimants have serially and deliberately breached their most important requirements, and where other sanctions have not worked to change behaviour. We anticipate that few claimants will be subject to this length of sanction, but we do believe it is necessary to act as a deterrent and to ensure compliance with the conditionality regime, which is critical to help these claimants back into work. Sanctions will also be tougher for those who repeatedly fail to meet their requirements, because the length of sanction will increase with each failure. The longest sanctions will apply to non-compliance with requirements directly linked to employment, such as leaving a job voluntarily, refusing to take up a job offer or failing to participate in mandatory work experience. For such failures, the sanction periods will be: 13 weeks for the first failure; 26 weeks for a second failure within a year of the previous one; and 156 weeks—3 years—for a third, or further, failure within a year of a previous failure that led to either a 26-week or 156-week sanction. Higher level sanctions (for example for leaving a job voluntarily) will lead to claimants losing all of their JSA for a fixed period of 13 weeks for a first failure, 26 weeks for a second failure and 156 weeks for a third and subsequent failure (within a 52 week period of their last failure). Simply failing to apply for a particular job can be considered a serious breach and incur a higher level sanction, depending on the opinion of the Jobcentre Plus (JCP) adviser. Similarly, what’s ‘suitable’, or what is a ‘good reason’ for any of the things considered a breach is down to the opinion of the adviser, who can decide instantly to apply a sanction. 3 of these and people face the immediate suspension of their benefits for 3 years. Even for lesser ‘offences’, penalties are draconian. Simply turning up a few minutes late to sign on can now result in the immediate imposition of a sanction – and the minimum sanction length is now 4 weeks. Commit a second of these insignificant ‘offences’ in a 12-month period and you are hit with another 4 week sanction. A third, and it increases to 13 weeks – 3 months with no income. Commit an ‘intermediate’ offence – which means nothing more than being considered not ‘available’ enough for work, or not looking hard enough, so once again entirely dependent on the opinion of your adviser – and the first offence incurs a 13-week sanction, followed by another, and then a 26-week penalty. 6 months, based on nothing more than the opinion of a JCP adviser. Even this response was disingenuous, because it uses a period beginning in 2007, when sanction numbers were tiny compared to under this government, to disguise the fact that a far higher proportion of claimants are sanctioned now. So, back to the 2006 DWP report. This was written for the DWP by Mark Peters and Lucy Joyce, examining the extent and effectiveness of sanctions applied under the Labour government – when rules for JCP advisers meant that sanctions were considered a last resort and were applied far less readily than now, when sanctions can be and are applied for something as minor as arriving a few minutes late for ‘signing on’. twice (16 per cent) or more than twice (10 per cent). 10% of claimants sanctioned 3 or more times – when sanctions were hard to incur. Under this government, by design, sanctions are applied freely and only require the JCP adviser to decide to apply one for it to be in force. But let’s suppose, for the sake of argument, that the figure hasn’t changed, and only 10% of claimants are sanctioned 3 times or more. Based on the 778,000 sanctions applied in the year to October 2012, that means almost 80,000 people hit under the new penalty regime by sanctions of at least 3 months, and many facing 6-month and even 36-month deprivation of income. That – though it seems incredible to call it such – is our best-case scenario. The reality is that, under the regulations that came into force in October, we could be looking at double or even triple the percentage incurring 3 or more sanctions. Even if we assumed no increase in the total number of sanctions applied, that would mean well over 200,000 people deprived of income for 3 months or longer. And if – as seems very likely – the number of sanctions has increased by a similar proportion to the leap up to October 2012, that would mean more than 1.1 million sanctions applied, with at least 100,000 sanctions of at least 3 months and as many as 300,000. And don’t forget, each sanction impacts not only on dependents of sanctioned people but on their family and friends, too. We could easily be looking at a million or more people impacted by summary deprivation of income. No wonder the government decided the latest data on sanctions ‘wasn’t ready for publication’. Even many natural Tory voters would baulk at the idea of throwing a million people into either immediate penury or the burden of having to eke out already-meagre resources to prevent family members or friends from starving. I’m frightened by it – but I’m even more incensed. I hope you are too. IT IS OKAY HAVING THESE SANCTIONS IF THERE WERE JOBS THAT PEOPLE COULD APPLY FOR WITH A CHANCE OF ACTUALLY GETTING THEM. PERHAPS WE SHOULD SANCTION THE GOVERNMENT FOR EVERY JOB APPLIED FOR AND NOT GOT. £5 PER WEEK PER REJECTION, SOME PEOPLE WOULD BE RAKING IT IN. OR, WHY DOES THE GOVERNMENT USE ALL THE MONEY THEY ARE WASTING PUNISHING PEOPLE BY CREATING REAL JOBS. No. No, it isn’t OK. It’s NEVER EVER acceptable to arbitrarily deprive people of social security for vast chunks of their life. Why? Well, the clue is in the name “social security” – which is probably why that name isn’t used very much any more. Sanctions are heinous! The term is simply a euphemism for punishment: you will be punished for being late, for example, means you have ALL of your income taken away from you for 4 weeks. Draconian is too mild a word for it, what if for example you live alone, or are homeless, have no one to support you (who should have no obligation to anyway). Do you go and steal to eat? The rising ‘punishment’ scheme is also disgusting as has been discussed by Steve, the escalation can be imposed for trivial reasons on the whim of someone’s opinion or mood that day. I’d hate to be confused of a logical fallacy (in this case the slippery slope) but where do the punishments stop. The logical conclusion is the person must be of no worth to society therefore euthanasia is the best option. After all it will only cost the government a few pence for the gas or bullet and it won’t have any more to pay for this worthless individual. At this moment I desist to refrain for Godwin’s Law. P.S It’s polite not to shout. How can it ever be right to deprive people of the very basic needs to stay alive? No matter how many jobs there are out there, when you literally have no money coming in and possibly a family to feed all your spare time is going to be spent on basic survival. You live from minute to minute and can think of nothing else. Welfare benefits are not a luxury society can’t afford, they’re a necessity in any civilised country. If you think we spend too much on these benefits think about the huge subsidies handed out to multinationals, the bailing out of banks, the public money spent on the royals who are sitting on billions and don’t forget the generous expenses we pay our MP’s some of whom are still taking more than they should. Compared to this the JSA bill is so tiny its not even a drop in the ocean. Sanctions are wrong, unfair and utterly draconian. What’s more they do not work. If they did no-one would be sanctioned a second or third time. All sanctions exist for is to persuade people the “scroungers” are being punished. Thanks to the right wing press people are convinced there is a vast underclass of families inflicted by intergenerational joblessness, who require correction and punishment. Personally I would abolish all sanctions immediately. Those who want to work (the vast majority of claimants) will still try as hard as ever to find work, and as for the minority of actual “scroungers” they wouldn’t necessarily be employable anyway, and it’s unlikely the lifting of the sanction threat will change things significantly for them. But at least nobody will be sanctioned wrongly (and this happens a lot) and such support as their is will not be withdrawn arbitrarily. Looks increasingly like they want to ensure that everyone is sanctioned off benefits in time for the 2015 election, doesn’t it? And that’s the most generous explanation. Labour and the Tories are largely the same right now. That’s why I suggest new parties should be formed of Neoliberals versus AntiNeoliberals, the old divisions of right and left no longer being relevant. What used to happen,was to create a war in Europe,then send all the able bodied people overseas to defend the nation,thereby ridding us of the problem of unemployment,but I guess that would be a contrevention of some obscure EU rule these days. Er, are you *seriously* suggesting that the EU is anything other than a profound force for good for preventing the pointless decimation of a generation (especially when we already have demographic problems)? Still, it makes a certain amount of sense that some people would advocate actively sending the young off to die for nothing as a kinder alternative to letting them starve hopelessly in a twisty maze of impossible-to-access benefits. Oh, wait… no, no it doesn’t. Especially if you’re middle-aged or above, and really ought to be remembering that these are the people who will be paying your pensions – probably out of general taxation, now that most people understand NI to have been a con (though whether the nature of that con is a misselling of Income Tax 2 or a straightforward Ponzi scheme is a call I leave to wiser heads than mine) – so if they aren’t around, you’ll be going very hungry into that good night. You’re right – I am incensed by what’s going on! This amounts to arbitarily-imposed “fines” on people who, like myself, have been forced to cough up NI for all their working lives – I very much doubt that I could survive 13 weeks with no money, never mind three years. I came across one young woman who had been sanctioned for “answering back” in the Job Centre. This isn’t a detention after school, it’s stopping money for at least 4 weeks and 13 in her case. HOW DARE THESE BASTARDS TREAT PEOPLE LIKE THIS???? Don’t forget that these sanctions don’t just apply to people on JSA – they apply to people in the WRAG of ESA too. WRAG claimants, unlike their JSA counterparts who have time-limited workfare, can be sent to mandatory schemes indefinitely. The last set of figures we were allowed to see showed that 11,000 WRAG claimants were sanctioned last year – people who, even by the warped measures used by Atos/DWP, are not considered well enough to work yet, nut possibly capable of work in the future. Don’t forget also that when a basic benefit is disallowed, so is any other support – housing benefit being one example. Councils are having to set up systems for housing benefit claims based on zero-incomes which they have only had to do very rarely before. I think DWP are reluctant to issue the figures now for 2 reasons – first, they are probably as bad as you think, Steve; and second, because IDS is already having to face the Select Committee to answer charges of lying with figures, and he won’t get away with doing it with this. They will find a way to tinker with them, and bury the news on a day when something else is going on. There is a buzz around at the moment about a scandalous affair in the heirarchy somewhere – don’t be surprised if that comes out with lots of publicity and the sanctions figures end up on page 20 somewhere. Ephermerid – as usual a succinct and informed response. The WRAG figures are the lowest of the low, and I have not seen them anywhere else, so thank you for putting them here. These are people who have literally nothing to fall back on to survive. I think the scandal you refer to has just started to bubble up. The old sleaze one that takes up thousands of lines of newsprint. We must keep on getting these true figures of deprivation out to as many others that we can. It also means those on 3 year sanctions without family support who do survive (the able bodied and young would usually do a tiny bit better) may end up begging, scavenging, stealing, eating in soup kitchens,or getting themselves deliberately imprisoned to get food and shelter (especially in winter). The latter case would cost a lot more than the sanctioned benefits they would otherwise have been paid. Another cracking read from the Skwawkbox blog, and an article that supports Vox’s feature on the DWP’s so-called ‘hit squad’. As a commenter on the Facebook page put it, “MPs and the DWP should be facing the hit squad”. Hear, hear! This should be a human rights issue. This is the state removing someone’s safety net to an extent that they have no choice but to turn to crime or being (also a crime) to survive or quietly starve to death unless they decide to end it all at their own hands – in which case a sanction has become a death sentence. Time for us to form a citizens group to make a citizen’s arrest of IDS and Hoban and the head of the DWP and pack them off to the Hague to face the court of human rights. There is a way around sanctions, if only enough people know how to challange them lawfully. Check out the testimonial at JforJustice.net website for a complete overview of this. I’m not that far gone. I know there are still some honourable people in politics – but yes, there are too many who toe the general line. Soon may it change! Scum of the earth, every Tory and Lib Tory MP and or Voter! We are trained by the media’s grip on humanities thinking that people who are reliant on the state for money and survival etc. are scroungers! We need to look at this and consider is this really true and on further inspection we can see this definitely is NOT the case! LET US CONSIDER SOME OUT THE BOX ENERGETIC FACTS HERE. – Every person is a channel of Source light bringing to the planet more of God and the more self love they hold the more God light is brought to Earth through them! – Everyone is equal and its their birthright to live in abundance. – We are the only species on the planet that has to pay to live! … and also let us also get away from the thinking that money is real and we have to work our arses off in a job we dont like, just to survive because if the system was set up correctly we would only need to work less than 10 hours a week in our individual contribution to the whole the rest of the time we could spend doing what makes us happy and joyful. The system is presently set up like a pyramid so every-bodies individual God light that is given to them naturally is being siphoned off then channelled up to the top of the pyramid through the use of money, so it is the elite at the top of the triangle are the true parasitical scroungers. If everyone knew it was their birthright to live in abundance and their self esteem was not reliant to how much of the fake thing called money they had attached to their name what a different world it would be! From April 2011 there have been no benchmarks or targets for rates of referral for sanctions/ DMA in Jobcentre Plus / WSD. It is up to individual advisers to make judgements about whether a doubt arises or referral for sanction is appropriate. Managers will judge their advisers on whether they are doing the right thing with their customers and that we are applying our judgments equally and fairly and in line with the legislation. In 2012/13 operational year we have two accountabilities – Off-flow and fraud and error. We do not have any DMA targets and managers should not be setting individual targets or “expectations” or “benchmarks” for levels of DMA referrals. There is no right or wrong level and setting a level can drive perverse behaviours. We deal with every case fairly on its own merits. Referrals for sanctions are all subject to independent decision-making, reconsideration and a formal appeal process. But, that does not mean that because we have no target that this area of our responsibilities is not important. Every office and every adviser should be ensuring that we fulfil the legislation where claimants do not meet their agreed responsibilities in their JSAg or don’t undertake mandatory activity. In our performance discussions and 1:1s, ensuring we are delivering the Government’s chosen conditionality regime is a legitimate discussion to have, and where levels of referral for DMA are below national or local averages, then we need to question why that is. If offices or advisers are wilfully choosing not to enact that legislation or are failing their customers by not making sure they attend mandatory provision designed to improve their prospects of finding work, then it may be appropriate for a performance improvement plan to be agreed and monitored. everything we can to help people find work but equally we expect customers to be doing everything they can to find work as well. The sanctions regime is only to be used when people are failing to live up to their responsibilities and will be applied with discretion and commonsense. For example, it is unacceptable for customers to regularly fail to attend provision we have sent them to, unless there are very exceptional circumstances. I appreciate that it is not always an easy discussion with the customer but it is important to remember that we have a role in ensuring fairness for the tax payer by ensuring people are fulfilling their obligations for the receipt of benefit. And ultimately, fulfilling their JSAg or attending our mandatory provision does help our customers better prepare themselves for the world of work, and in the long run will help them and their families be better off. met, enabling them to compete in a demanding labour market by attending courses that will improve their job prospects .We invest considerable amounts of public money in skills training and it is only right that people attend having agreed to do so. should not happen and all District Managers were asked to give an assurance that the practice had been discontinued in the sites where it took place within their District. That first paragraph is in a DWP response?! Link please? Thanks for more brilliant info! It is my response. DWP staff confirm this is the case and it is verified within the FOI response. Further, DWP has to determine and define the performance measure /average that triggers a poor performance conversation with either the Manager and/or Adviser as well as the subsequent preparation of a Personal Improvement Plan. Staff must know what this measure is, otherwise how can they be monitored against something that does not exist? Therefore, an unpublished illegal? ‘target’ does exist and perverse behaviour remains inevitable. “In our performance discussions and 1:1s, ensuring we are delivering the Government’s chosen conditionality regime is a legitimate discussion to have, and where levels of referral for DMA are below national or local averages, then we need to question why that is. My thoughts and those of others: The best Advisers help their customers meet their conditionality requirements and this approach is applauded by CAB. There are many more, effective and positive ways of changing people’s behaviour. Sanctions do not impact on long term unemployment or behaviour, just the short term unemployment statistics. The problem for jobcentre staff is that the security guards cannot follow them to and from work. So then they may wish they had not stopped someones money for three years. Also if their union the pcs had anyy sense it would refuse to sanction people until the staff got a decent pay rise. That way they would be striking against govenment not claimants. I suspect to hear of that kind of chaos, JC+ staff getting beten up or whatever, would be music to the avaricious ears of IDS, Hoban etc as they’d take it as proof positive the benefits system was breaking down. If I were them I’d be waiting to see that as evidence our policies of destruction are working as they should. They WANT it to be in a state of shambles, like the hospitals are allegedly getting into, so they can justify replacing it with private insurance run by, guess who, Unum, the same way they’re trying to justify replacing the NHS with private providers. They’re deliberately creating these conditions the same way Osborne’s deliberately creating austerity, another enormous scam hardly anyone understands as yet. Just to mention, a sanction is time signing on not in receipt of benefit. If you have a 3 year sanction but get a job after 1 year and sign off, when you lose that job and sign back on you will have to sign on for 2 years before you get benefits. So it could take 10 years or more to clear. Obviously, it’s highly motivating to stay signing on with no declared work (cash in hand, drug dealing etc ok) in order to clear the sanction as soon as possible and not have it hanging over you, above all since you run the risk of a heavier sanction during such a period.